Waiving rules to prevent methane pollution. Stripping wetlands of protection under the Clean Water Act. Throwing out restrictions against strip-mining mountaintops and dumping the spoils into streams. The Trump administration has an ambitious agenda to eliminate protections for air, water and land wherever possible, and this is just a start. How about rescinding improvements to fuel efficiency for cars and trucks, delaying rules to prevent ozone pollution and dropping efforts to keep arsenic and mercury out of waterways. These are the priorities of Trump’s Environmental Protection Agency administrator, Scott Pruitt, who has turned out every bit as bad for the environment as advertised when nominated for the post of running the agency charged with protecting America’s environment. In a similar vein, Interior Secretary Ryan Zinke decided that he wanted to eliminate or shrink more than two dozen national monuments, terminate public advisory councils and throw the Interior Department into turmoil by jumbling dozens of top level positions. While you might have been distracted by the drama in Washington, and the inability of the administration to accomplish anything legislatively, Trump’s minions at the EPA and Interior Department have charged ahead full throttle to undo decades of bipartisan support for protections of public health, the environment and public lands. The list doesn’t even include just plain mean-spirited decisions like canceling rules to protect whales and sea turtles from getting entangled in fishing nets or killing grizzly bears from aircraft in Alaskan national wildlife refuges. The administration’s undoing, though, may be its penchant for cutting corners and ignoring laws. As the Supreme Court has noted, an agency has to provide a “reasoned analysis” for changing or rescinding rules. It has to provide evidence in support of the change, and if the explanation “runs counter to the evidence before the agency,” it’s likely to be struck down as an arbitrary and capricious abuse of power. In essence, the EPA and others need a stronger rationale than Pruitt’s “because I want to” explanation. The wetlands protection rule that Pruitt hopes to gut offers a good case study. 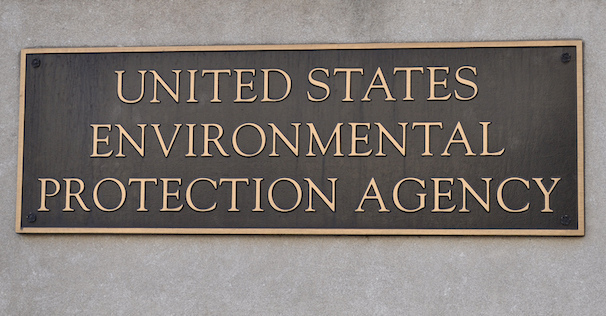 This rule was initiated after a peer-reviewed scientific assessment that looked at 1,000 scientific studies, followed by more than 400 meetings with states, tribes and other stakeholders, capped off with a million public comments in support of the rule. The burden is on Pruitt to demonstrate why the scientific conclusions of those 1,000 studies is now suddenly incorrect or inapplicable, and why hundreds of stakeholder meetings and a million public comments should be disregarded. An omen might be a federal court’s ruling last week invalidating Pruitt’s attempt to simply ignore previously adopted methane pollution rules. Pruitt told the EPA to not implement the methane pollution rule for 90 days. But in a lawsuit brought by environmental groups, the justices called Pruitt’s refusal to implement the rule “unreasonable,” “arbitrary” and “capricious.” Numerous other lawsuits are pending on similar attempts by Pruitt and other Trump administration appointees to flatly ignore lawfully adopted regulations that protect public health and the environment. Pruitt is now trying to delay the EPA’s methane rule for two years. Meanwhile, Zinke plans to flout a rule to prevent natural gas and methane from wastefully spewing out of oil and gas wells on public land. Perhaps both men realize how time consuming a reasoned review of the rules would be, one based on science and public involvement, hence they hope to skate by and duck compliance with the law. They should know better. Hordes of public interest attorneys representing environmental and public health groups are itching for a legal fight, and from first appearances, their legal arguments have struck home.